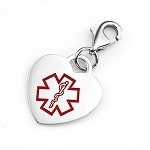 This heart shaped stainless steel hypoallergenic medical ID charm pendant with medical alert symbol and lobster claw clasp is great for both kids and adults! 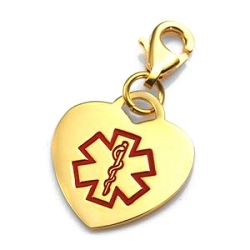 Attach charm to a bracelet, key chain, shoes, sneakers, jacket zipper or back pack! 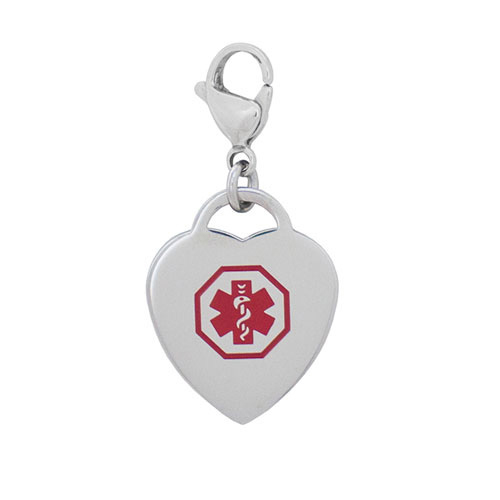 Charm is approximately 3/4 inch x 3/4 inch. Alert message may be engraved on back.